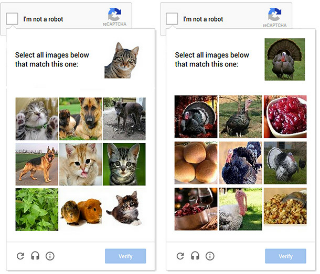 Google To Replace Text And Image reCAPTCHA With A More Human Friendly "Invisible reCAPTCHA"
It's a good thing Google has finally thought about optimizing this recaptcha verification process cause it really pisses me off most of the time. Even when we want to anonymously make comments on sites, you would see this recaptcha verification pop up. This has made most people not share their views via comments because they find the recaptcha hard to solve, though that isn't the case if you're logged in to your email. I really don't blame anyone for not liking to solve recaptcha's because really it isn't what anyone would find fun in doing. It delays you and sometimes makes you lose interest in what you wanted to do. It gets really bad when you solved it once and to pass through the next step of the process of what you want to do you are required to solve another recaptcha, I tell you... Most people would just abandon the process instead of solving two recaptcha's in a row. Talking about solving it twice, it is now as though Google modified the recaptcha some months ago to an even harder task, I used to know recaptcha's are solved just once in a particular process but now recaptcha's now have a "Next" button, what is there to next? When you've solved this one correctly? Hmmm it just so annoying. It's a thing of joy that Google has finally found reasons to make it better and easier at the same time maintaining it's security standard, even though this recaptcha's annoys us, we shouldn't also forget that it is there for a reason. If not for these recaptcha's, lots of websites would have been brought down by the number of bots that would be entering it with the amount of pressure that would be put on the server. I strongly believe that's one the reasons Google didn't take it out completely, instead they decided to make it more 'Human Friendly'. Google says recaptcha's were meant to be "Tough on Bots, Easy on Human", I never saw the old recaptcha's having that attribute cause it was tough on both humans and bots. That means we would no longer have to make inputs to get verified as Humans once this new recaptcha protocol is implemented. Google didn't give a date of which it would be implemented so we just have to keep our fingers crossed and hope it would be implemented soon.